Nancy Gibbs and Dan Gerstein are our guests this week. Original Air Date: May 19, 2012 on SiriusXM Satellite Radio “POTUS” Channel 124. On this week’s episode: The President’s Club, and the Vice President’s Waiting Room. We’re going inside the most exclusive members-only institution in the United States, a fraternity with only five living members. It’s got its own clubhouse, on Jackson Place overlooking Lafayette Square, and now it’s got its own book. Nancy Gibbs, deputy managing editor of TIME Magazine, joined us for an extended conversation. Along with Michael Duffy, she’s written The President’s Club, a definitive chronicle of the unique relationship among ex-Presidents and the sitting occupants of the Oval Office. Then, with news that the veep vettting process is well underway in Boston under the direction of Mitt Romney gubernatorial chief of staff, Beth Meyers, we’re go into the Presidential waiting room – or in another word, its purgatory, the Vice Presidency. 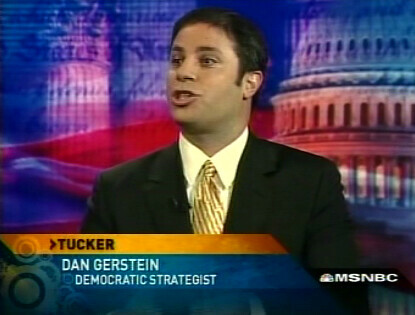 As the Romney Camp looks for what one insider called “an incredibly boring white guy” (thanks, Juli Wiener, of Vanity Fair, for providing us with the extensive range of ‘incredibly boring’ possibilities) we talk with one man, Dan Gerstein, who’s seen the process first hand. “The pick” is one thing, but after the pick is made, what happens next? Gerstein, president of Gotham Ghostwriters and a longtime aide to Senator Joe Lieberman, had a front row seat for Al Gore’s pick of a running mate in 2000. I was thrilled to have Nancy Gibbs on the broadcast this week. Gibbs is Deputy Managing Editor of TIME Magazine and author, along with Michael Duffy, of The President’s Club, Simon & Schuster’s latest contribution to the non-fiction bestseller lists. Nancy’s been with Time since 1985 with over 140 cover stories to her credit, joining the magazine staff after graduating from Yale with some extra time at Oxford as a Marshall Scholar. She’s also the author (again, with Duffy) of The Preacher and the Presidents: Billy Graham in the White House. Our previous guests on Polioptics from TIME include the great Mark Halperin and one of the icons of photojournalism, Diana Walker. Lest you think Nancy’s portfolio of work begins and ends at 1600 Pennsylvania Avenue, she’s really a chronicler of our times. If you have any doubt about that, read her bylined story in the special black-trimmed edition of TIME that appeared in the days following 9/11. 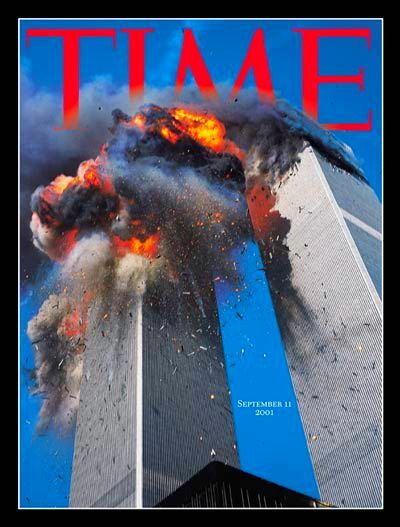 As I wrote in Part IV of the 10-part Story of Polioptics, the covers of TIME Magazine had a profound effect on me as I was growing up in the 1970s and 1980s, telling a story in visual terms of the evolution of America’s political psyche. Even though the covers and content of TIME are well preserved in the magazine’s electronic archive, I haven’t been able to bring myself to recycle the several large file boxes of magazines I still keep from that era (my wife is not pleased, but I maintain, someday, I’ll make a killing on eBay). The covers, many of which were shot by Walker and my other friend from the White House press briefing room, Dirck Halstead, and the columns by Hugh Sidey, gave a teenager from Boston the closest proximity he could hope to have to the West Wing. Understanding how Ronald Reagan became such a great communicator — often through the visual, often with the help of Michael Deaver — also gave that same kid his own road map to an eventual job in the White House. 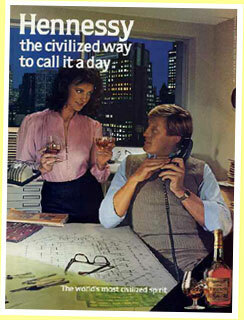 It doesn’t hurt, either, to look through some of those old ads in the magazines and wonder if the likes of Don and his creative team at Sterling, Cooper, Draper, Pryce might still have been at work, a decade after Mad Men’s current season, coming up with campaigns for Brut After Shave or Hennessy Cognac. I sometimes lament the trajectory the news business has taken, from the handful of newspapers, news magzines and evening news shows that shaped opinion in the 1980s to the multi-media web that we now have to navigate. But Nancy was quick to remind me in our conversation that those same digital channels now allow many more readers from all over the world to enjoy the writing and photojournalism — and covers — of TIME than Henry Luce could ever have imagined when subscriptions and newsstand sales were the only way to see its pages. That’s a good thing, too, given that the art department at TIME has never been more provocative, as it proved with the publication of the “Are You Mom Enough” cover of the May 21 issue. Some of the reviews of Gibbs & Duffy’s The Presidents Club, notably by Janet Maslin of the New York Times or David Greenberg of the Washington Post, have pointed out some of the book’s perceived shortcomings, but I think they miss the enormous contribution of TIME and other news magazine writers over the decades to our collective understanding of how Washington works and the presidency in particular. I am currently making my way, slowly, through Robert Caro’s magnificent, new 736-page The Passage of Power, but the thing only covers a span of six years, or an average of 122 pages per year. Who doesn’t adore Caro’s work, but there’s only so much time in the easy chair every day to consume presidential history. By contrast, The President’s Club clocks in at 656 pages and begins in 1953, at the Inauguration of Dwight Eisenhower, and continues to the present day, offering an average of 11 pages per year in the study of life at, and after, the White House. For some readers, even those who can’t get enough of presidential arcana, that’s a sufficient sweep of history. 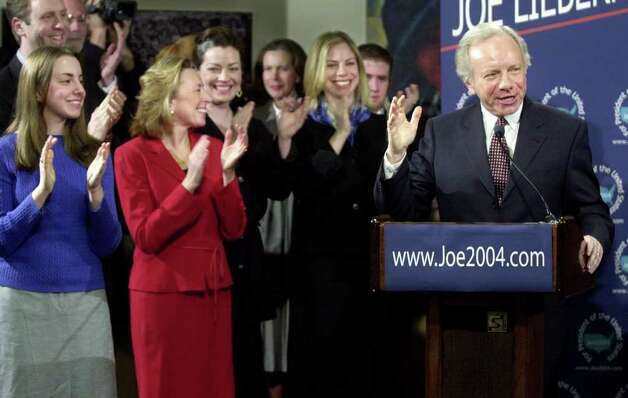 One man, outgoing Senator Joe Lieberman of Connecticut, was on the shortlist twice, in 2000, as a potential vice presidential nominee for Al Gore, a Democrat, and in 2008, for John McCain, a Republican. In both cases, Lieberman was anything but “an incredibly boring white guy.” In 2008, neither was Sarah Palin, and she got the nod. High risk, high reward. In 2000, Lieberman passed through the gantlet. Lying in bed at 6:30 on the morning that Gore’s announcement was revealed, Dan Gerstein, then Senator Lieberman’s communications director, had gone to sleep the previous evening thinking that his man was passed over. As Dan recounts the moment with me, 12 years later, he had succumbed to the same head fake that many campaigns employ to throw off the scent of the probing media looking for one of the major scoops of any election year. The press calls that Dan started receiving early that morning were the first he knew that his boss was destined to join Al Gore on the ticket. The vetting process is one thing: secretive, discreet. While the process is underway, a vice presidential campaign staff-in-waiting is assembled, ready for a shotgun marriage with the nominee. But after the pick is made, the lights go on, and stay focused on the running mate until Election Day. What happens to a person, and his or her closest aides, when they go to bed doing one job — in Lieberman’s case, serving in the U.S. Senate — and wake up as one of the party’s standard-bearers? What happens next? That’s the crux of our conversation with Gerstein, an old friend from a few critical junctures over the past 10 years. He grew up in Hartford, where I once lived, and wrote for the Courant after college at Harvard. When I met Dan in 2003, as he was helping to launch Lieberman’s 2004 presidential campaign, I was dispatched to create the launch event visual at his high school in Stamford, Connecticut. Dan was, at the time, a Lieberman veteran, working in the Senator’s office since 1995. Since leaving government, Dan has grown Gotham Ghostwriters into a leading consulting firm providing speechwriting, ghostwriting and editorial help to a range of corporate, non-profit and individual clients. Keep your eye on what’s happening in Boston during the vetting process, but the real drama, whether there’s genuine chemistry on the ticket — as there was between Bill Clinton and Al Gore in 1992, less so between John McCain and Sarah Palin — begins after the pick is made.